A place for artists to talk about their own work. This is a curated site for photography, painting, and video. “A collection of somewhat random specimens” is a series of photographs focusing on mundane elements of Nature. I found the subjects of my images on hikes in the prairies and foothills of Colorado or simply in my backyard. For most of us Nature has become a concept rather than a physical experience. We live in cities and dream of the grandiose landscapes of the American west, of the noble animals of the Alaska’s wilderness. We’ve come to consider these elements as worthy of our respect and protection. With these photographs I wanted to bring to light specimens of Nature that are mostly ignored or overlooked, and present them as beautiful and precious components of our environment. All my subjects are past their prime; most have withered; some have died. All have stayed ignored by passersby. There is nothing exotic about the subjects of my photographs and yet to me they possessed an intrinsic quality. They looked intricate. They seemed fragile. They evoked feeling of loneliness, melancholy or foreboding. They reminded me of the value of transient life. They illustrated the ambiguous beauty of decay. These objects became little treasures that I collected and cherished. They acquired a very real (even if temporary) value to me and needed protection until their appearance was preserved in the form of a photograph. These overlooked and ordinary specimens become the center of attention and take on an extraordinary significance. 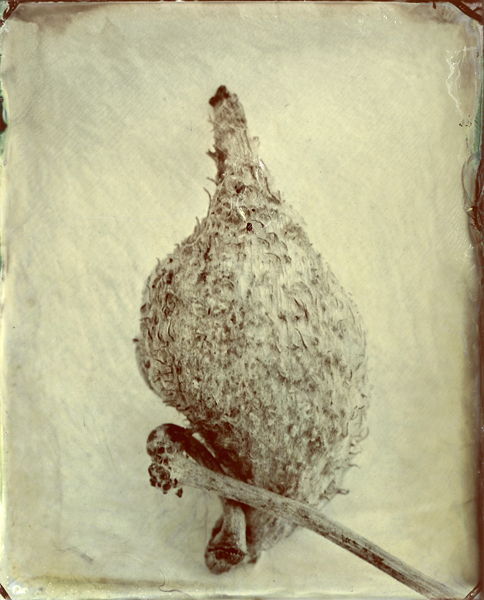 The photographs were created using the wet-plate collodion process. 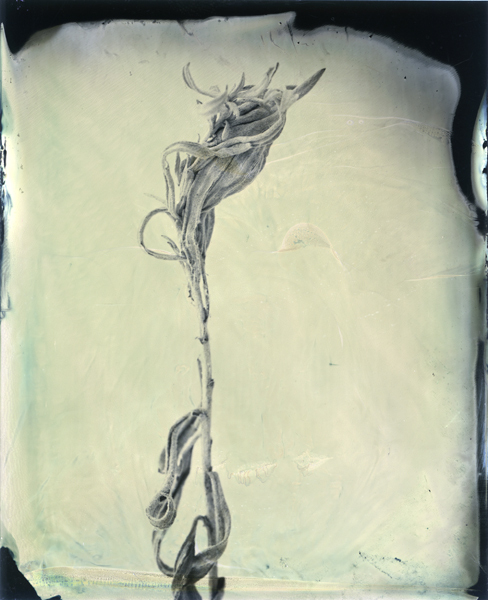 In my past work, I have physically and chemically stressed my negatives to crack the emulsion, distort the subject, and change the colors of the image. 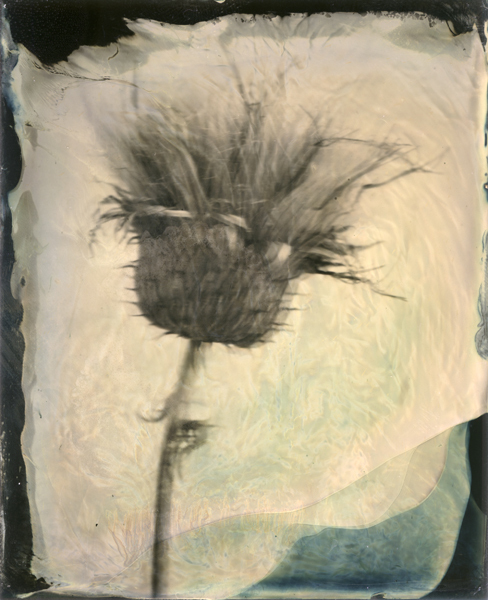 Continuing down this path, I was drawn to wet-plate collodion because this method creates marks and artifacts that become an integral part of the photograph. 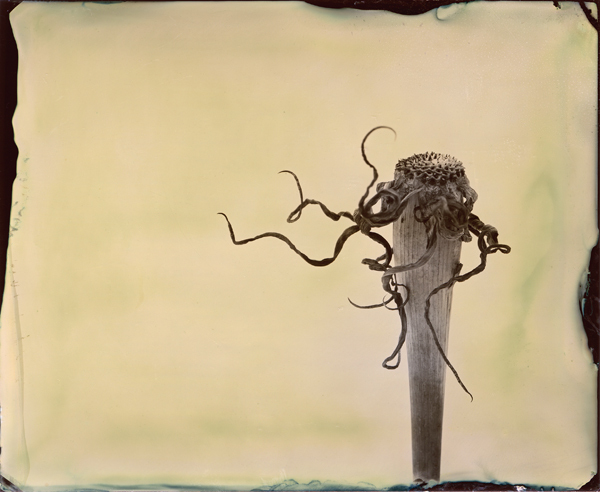 The aesthetic of the collodion process transforms the series from an objective and straightforward documentation of Nature into a lyrical depiction of its beauty.